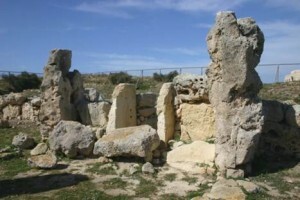 Investigating the development, social context, and landscape-setting of Malta’s Neolithic temples by focusing on the site of Skorba and its surroundings. Malta, an archipelago in the Mediterranean between Italy and Tunisia, is rich in prehistoric heritage, especially its famous stone-built temples. More than 30 such temples are known, and a selection of the best-preserved was designated as a World Heritage Site in 1980. Increased visitor numbers at these sites over recent years has prompted imaginative and innovative solutions to their presentation and display. But relatively little is known about the wider context of these sites in terms of their landscape setting, spatial relationships, use and purpose, or economic basis. Magnetic susceptibility surveys of extensive landscape areas to reveal patterns of settlement activity and soil movement. Magnetometry on selected targeted areas to investigate sub-surface features. 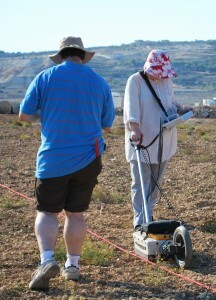 Electro-magnetic and Ground Penetrating Radar (GPR) survey of targeted areas to investigated buried features and soil profiles. 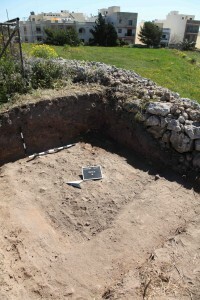 Test-pit transects from the hilltop above Skorba to the valley floor below to investigate terrace formation, buried land surfaces, and collect environmental samples. Auger transects across the landscape to assess soil depth, buried deposits, and collect environmental samples. Re-excavation of Trench M originally investigated by David Trump in 1961 to investigate the stratigraphy of an area beside the main temple structure, recover artefactual material, and collect samples for dating and environmental analysis. 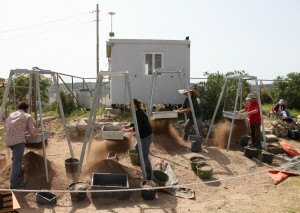 Quantified sampling of spoilheaps from the 1961-63 excavations for the recovery of cultural and ecofactual material. 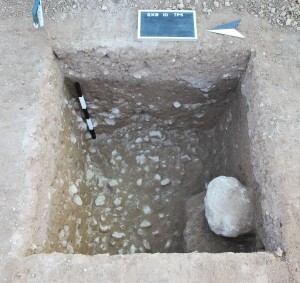 This provided additional assemblages of ceramics, worked lithics (chert, flint and obsidian), worked stone, animal remains, and the head of a small ceramic figurine. 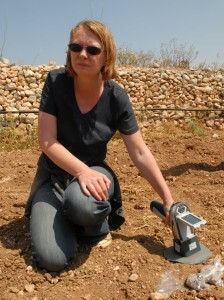 Soil chemistry of investigated profiles to investigate the development of terrace soils. Laser-scanning and topographic modelling of the extant structures and surrounding landscape to investigate the form and construction of the monument. 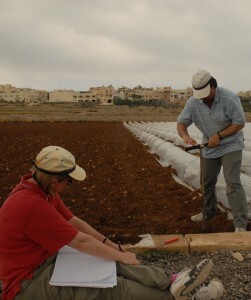 The project is multi-disciplinary collaborative venture involving specialists from Bournemouth University in the UK, the Berlin office of the Deutsches Archäologisches Institut in Germany, Heritage Malta, the Superintendence of Cultural Heritage in Malta, and the Department of Archaeology in the University of Malta.